INDUSTRY.co.id - Jakarta - In the National Seminar with the theme 'Tips for Successful Replanting and Increasing Sustainable Palm Productivity', Director General of Plantation of the Ministry of Agriculture, Bambang Wahyudwiantoro stated that people must be aware when the energy is made from fossil fuels run out of renewable energy of palm oil is the answer, oil palm is protected. According to him, by protecting oil palm as well as protecting farmers. 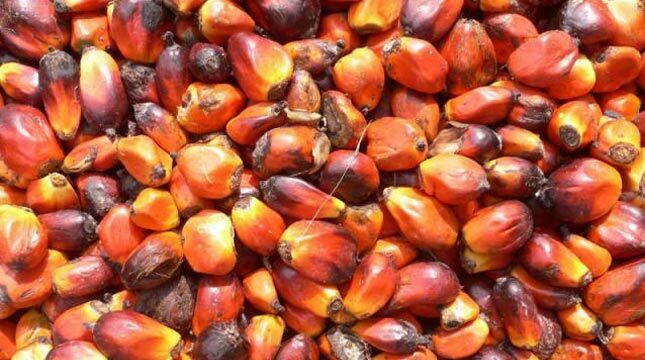 That's because according to data collected in 2017, from the total area of ​​oil palm plantations which reached 14.02 million hectares, about 5 million hectares are owned by farmers. "So by fixing the farmers' plantation is the same as fixing oil palm plantations, because not least the contribution of farmers to palm oil commodities," he said. Among them, the problem of replanting, because of about 5 million hectares, as many as 2 million hectares of plants are old and not a few who use seeds are not certified, consequently productivity was far below the potential that should be. Currently the productivity of fresh fruit bunches (TBS) of farmers' plantations is only about 10-12 tons / hectare / year, whereas its potential can reach 30 tons / hectare / year. "This means that increasing the productivity of farmers' estates is the same as improving the welfare of farmers," said Bambang. Looking at the facts, Directorate General of Plantation budgeted for the rejuvenation of oil palm plantations owned by farmers in 2018 is an area of ​​185 thousand hectares. "However, to do replanting is not as easy as turning the hands, so replanting is the responsibility of all," he said. According to him, in the replanting program involves all parties, among them the Regional Government (Pemda) as the responsible person issuing the permit, the company as the buyer of the farmers, and the seed producer as the provider of seeds for the farmers. "On the basis of that, the future farmers must partner with the company as a buyer of farmers or as foster father," he said. Because, Bambang explained, the birth of oil palm plantations owned by farmers is a pattern of partnership or pattern of the people's core (PIR), where the company as a partner or core of the plantation owned by the people but not the one-roof management pattern. This, he added, because if using a one-stop management then the right of control over farmers land controlled by the company or everything is managed is the company and farmers live accept the results. Such patterns do not educate farmers or communities. The pattern is different from the pattern of partnership or plasma core where the company as the farmer's adoptive father receives only the results from the farmers, and provides farmers with training on how to cultivate good "good agriculture practices" (GAP). "So the pattern of partnership or core plasma is different from one-stop management pattern," he said. Therefore, Bambang again appealed to the farmers, for those who have partnered with the company should be kept well or if necessary more tangled back.